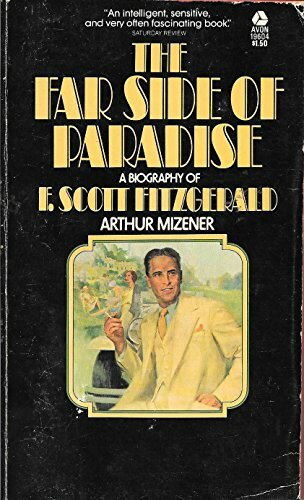 Since the original publication of The Far Side of Paradise in 1951, a good deal of published and of unpublished information about Fitzgerald has accumulated. Of the published material the most striking is the story of Fitzgerald and Sheilah Graham in Beloved Infidel by Miss Graham and Mr. Gerold Frank. I was familiar with this story in its main outlines when I wrote The Far Side of Paradise, but I was persuaded by friends of Miss Graham (one of them a psychiatrist) that it would be a serious mistake to discuss the matter with Miss Graham or to tell what I already knew. I therefore omitted the story. I do not even now see how I could have done otherwise, since Miss Graham's friends may have been right about her feelings in 1951, and the very possibility that they were made it impossible for me to consult Miss Graham. Further silence on the subject has, however, been made unnecessary by the publication of Beloved Infidel, and I have therefore rewritten the last two chapters of The Far Side of Paradise for this edition in order to include the story of Miss Graham and Fitzgerald. The most revealing account of Fitzgerald that has been published since the original publication of The Far Side of Paradise is Morley Callaghan's story of his friendships with Fitzgerald and Hemingway during the spring and summer of 1929 in That Summer in Paris (1963). Only less valuable is Hemingway's Moveable Feast (1964) with its beautifully written and curiously one-eyed view of Fitzgerald, a view which can, I think, be fully understood only in the light of Mr. Callaghan's portrait of Hemingway. There have also been useful glimpses of Fitzgerald in such books as James Draw-bell's The Sun Within Us (1963) and such articles as James Thurber's for The Reporter in 1951; and there has been Andrew Turnbull's subsequent biography, Scott Fitzgerald (1963), and his selection of Fitzgerald's letters (1963).